You are here: Home / Latest News / Uncategorized / Share the Fun and Inspire! Share the Fun and Inspire! Stait Park, the Rotary Club of Fergus-Elora Accessible Playground, has been featured in The Ontario Parks Association (OPA) offers seminars on Accessibility Training. 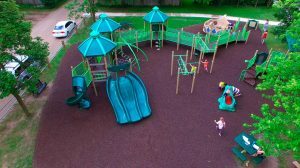 This park is a wonderful fundraising success story for this small town with a population of 20,000 people that was able to raise the funds to build this park in 9 months. Contributions came from local companies, local individuals, the Rotary club and a provincial grant. – a wheelchair accessible “Rock’n Ship glider” that has an area of 70 sq. ft. (6.5 sq. 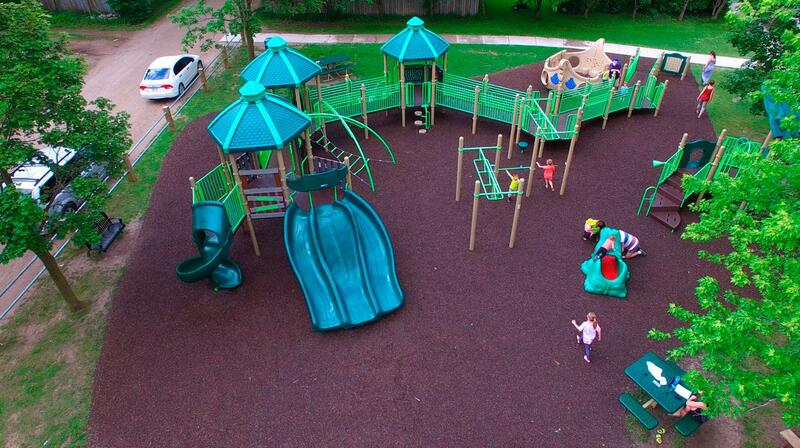 m) to allow ample space for all children (and caregivers) to play together while enjoying the rocking motion. Here is a video of the park to share the fun and inspire.